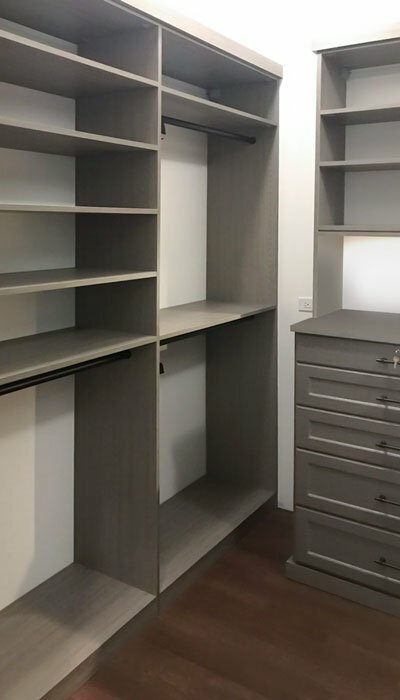 There's more to this closet than what meets the eye. 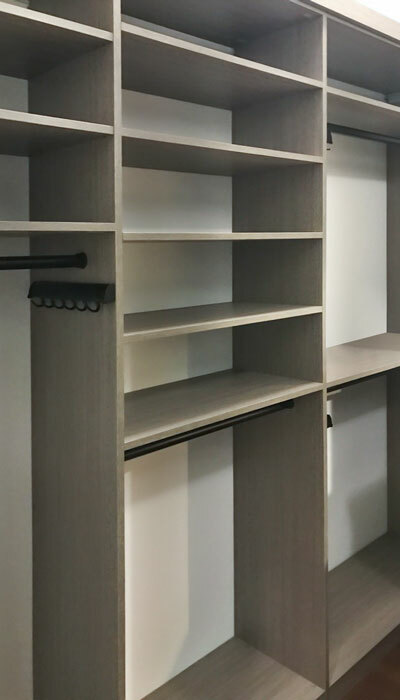 In a mysterious Haze laminate with oil rubbed bronze hardware, the closet is mutable with both feminine and masculine traits — fitting for either her, or him. 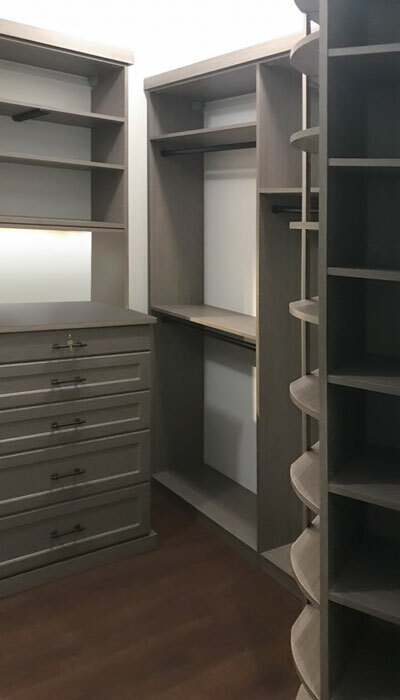 The design is outfitted with advantageous closet accessories and custom LED lighting for an opulent, yet low key reverent aesthetic. 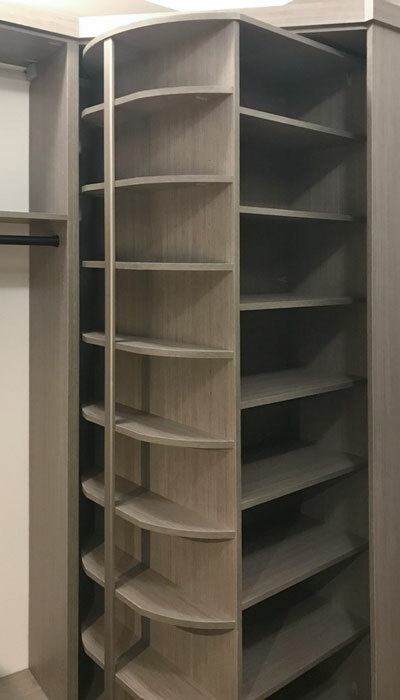 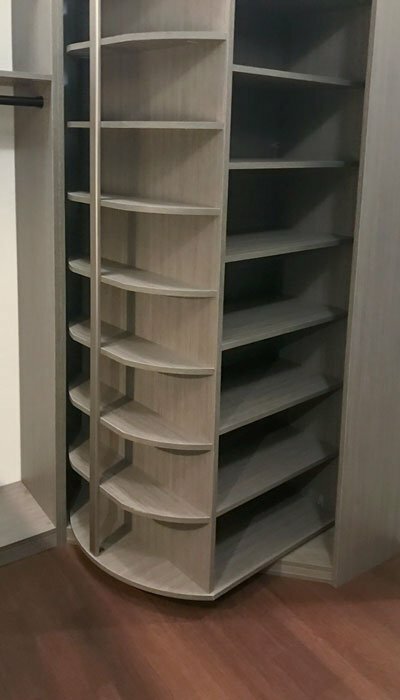 Additional walk in closet highlights include a 360 Shoe Organizer — a system of rotating closet shoe shelves for generous storage of all footwear and bags. 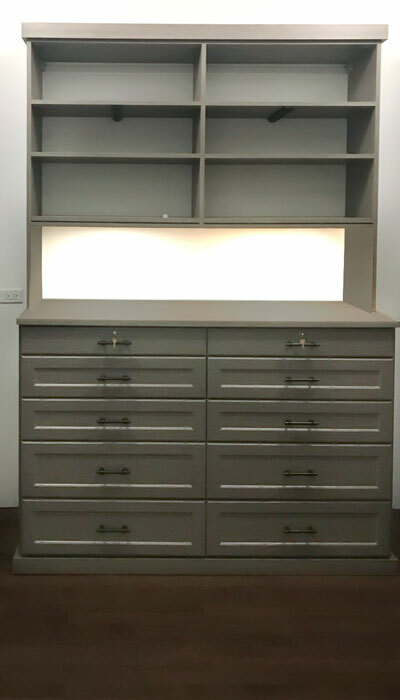 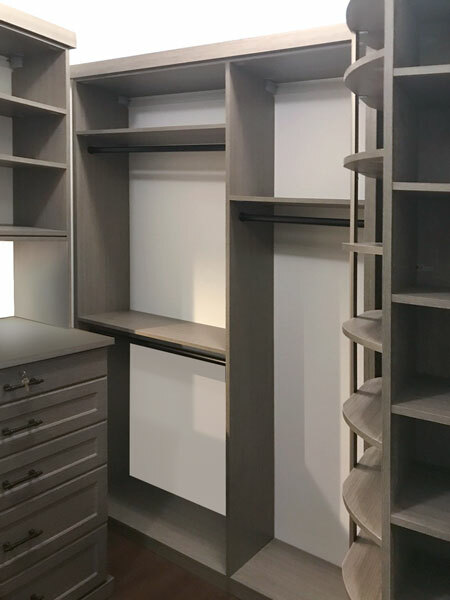 The closet dresser has Aspen faces with Dakota handles that feature locking top drawers for safekeeping of all jewelry, wallets, and more valuables.